The mum of a teenager from Surrey who was murdered two years ago by someone he met online claims she has been getting trolled online by her son's killer from prison. Lorin LaFave has been telling Heart she is now calling for more to be done to restrict inmates' access to the internet. She set up the Breck Foundation in memory of her 14 year old son from Caterham to warn others of online dangers. Breck met Lewis Daynes on an online forum talking about computer games. 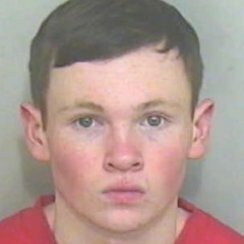 The 19 year old has been jailed for life for the murder at a house in Essex. Essex Police have declined to comment on the claims.